Consumer electronics maker Hisense Co Ltd has become a household name in South Africa, with its products winning over the market thanks to strong branding and localization strategies during the past more than 20 years. As early as 1993, Hisense started to explore the South African market, where the company took its first step overseas. Before going global, the Qingdao, Shandong province-based company carried out extensive research, which revealed South Africa had great market potential with strong consumption capacity and brisk demand. "South Africa, like a bridgehead, plays a radiating role in the southern part of African continent. Once gaining a market presence in South Africa, it would be easy to tap the market potential in the central and western parts of Africa," said Liu Bin, general manager of Hisense South Africa. At first, Hisense met headwinds entering South Africa's TV market, which was dominated by famous brands from Japan, South Korea and Europe. The company's research found that there was a gap in the market for 18-inch and 21-inch TVs, and the company seized this opportunity to tap the market from scratch. Hisense built a TV assembly plant in South Africa in 1996 and registered a company there a year later. In 2000, it successfully acquired a plant formerly owned by South Korea's Daewoo in Johannesburg. The facility became the most modernized TV set production line in South Africa's history. Rather than following the example of other Chinese market players and becoming an original equipment manufacturer or exporter, Hisense said it insists on establishing its own brand, aiming to take an advantageous position in the market and sell products at a premium. Hisense entered the local mainstream market by hiring local talent, as the company said it believes it can overcome cultural and linguistic barriers. 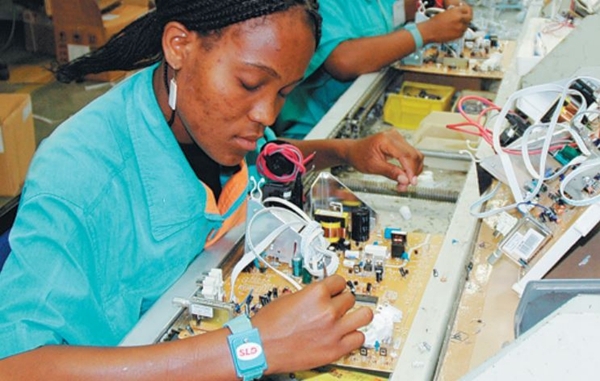 The electronics maker employed 700 local staff members in South Africa in 2016, representing 90 percent of the company's total workforce there. With only 35 Chinese staff members, Hisense's plant in South Africa has offered more than 2,700 job opportunities for local people in total and generated taxes and foreign currency earnings. Hisense designers added water dispensers in its refrigerator doors to better meet local consumers' demand, improving its refrigerator products' popularity. "Africa is a market where innovation, and research and development are neglected, especially with products being highly homogenized," Liu said. "Hisense has adapted products to African people's habits and provided different, high-quality products to meet their increasing needs," he said. Since 2016, Hisense has ranked No 1 in both television and refrigerator sales in South Africa for two consecutive years. Hisense established its African head office in Cape Town and two sub offices in Johannesburg and Durban. Its products range across TVs, refrigerators, freezers, mobile phones, air conditioners and washing machines, as well as other home appliances. They are sold in 5,112 outlets from 18 major chain stores. Its products are also exported to a dozen other African countries and regions, including Mozambique, Zimbabwe, Malawi and Zambia. Hisense's mobile phone sales are also increasing rapidly, with its first generation phone unveiled in 2014. It had sold 1.2 million handsets by the end of 2017. Chinese Ambassador to South Africa Lin Songtian said Hisense's portfolio and investment in South Africa have seen good results from comprehensive strategic partnership, and people-to-people exchanges between the two countries. The company benefits from the local investment environment and governmental support, and brings substantial benefits for local residents, he said.